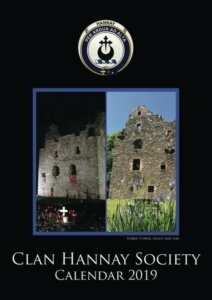 Listen to Dr. David Hannay, Chief of the Clan Hannay, playing two tunes on his lowland smallpipes. We were saddened to learn of the death on November 2, 2003, June Purves Hanna, beloved wife of Major-General James Hanna, Clan Council Member and Convener of the Canadian Branch. June had attended many Clan Society gatherings, and will be sorely missed. PURVES-HANNA, (nee Nicklas), June Frances aged 67 years of Ottawa, Toronto, and Sarasota Florida, on Sunday November 2, 2003 at the Ottawa Civic Hospital after a long and courageous struggle with cancer. Daughter of the late Edward Nicklas and Lillian Wyllie. Beloved wife of Major General (retired) James E. Hanna [Clan Council]. Also survived by her daughter Janine Purves (Cameron Trollope), son Stephen Purves, step-son Jamie Hanna [Clan Council] (Janice), and step-daughter Brenda Hanna. Also survived by her brother Noel Nicklas (Helen) and five grandchildren, Jenna, Michelle, Katie, Julia, and Roland. June spent over 40 years in the travel industry and had extensive world travel experience. A woman of class and kindness she touched the lives and hearts of many. Friends may visit at the Central Chapel of Hulse, Playfair & McGarry, 315 McLeod Street, Ottawa, Ontario [Canada] on Tuesday November 4th, from 2-4 p.m. and 7-9 p.m. Funeral services will be held at Christ Church Cathedral, 439 Queen Street, Ottawa, Ontario on Wednesday November 5, 2003 at 2:00 p.m. There will be a visitation on Saturday, November 8 at 12 noon at the Richmond Hill [Ontario, Canada] Presbyterian Church, 10066 Yonge Street, followed by a memorial service at 1:00 p.m. If friends so desire, the family would appreciate memorial tributes in Junes memory to the charity of your choice. Arrangements in care of Hulse, Playfair & McGarry Funeral Homes 613-233-1143. 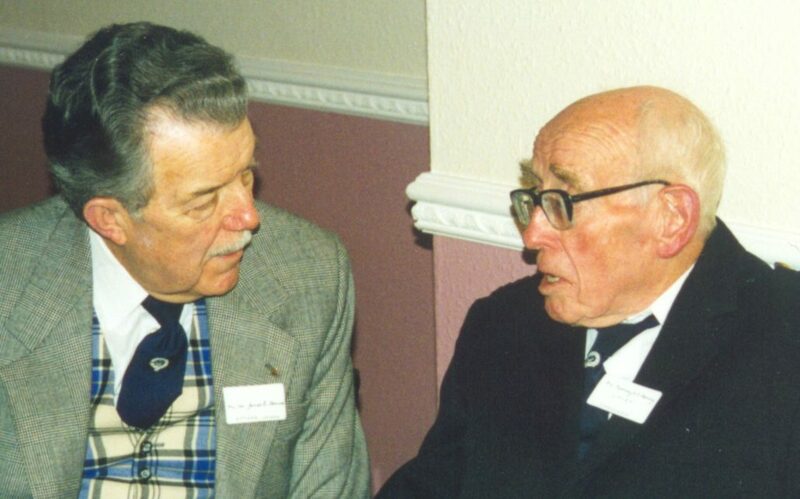 The annual Gathering of members and friends began with a buffet lunch at Sorbie Village Hall on Saturday, May 23rd, 1998. A Clan Dinner and Ceilidh followed at 7 pm that evening, at the Crown Hotel in Newton Stewart. The following morning, Professor David and Mrs. Janet invited members to coffee at Kirkdale House, Carsluith, from 11 am to 1 pm.